Injinji socks offer restriction-free movement and eliminates skin-on-skin friction between toes, which is one of the primary causes of blisters. The Injinji 5 toe sleeve design allow your toes to splay naturally & align properly, enabling greater stability and comfort. Injinji use the best available fibers including Coolmax, NuWool and Lycra, depending on the model. 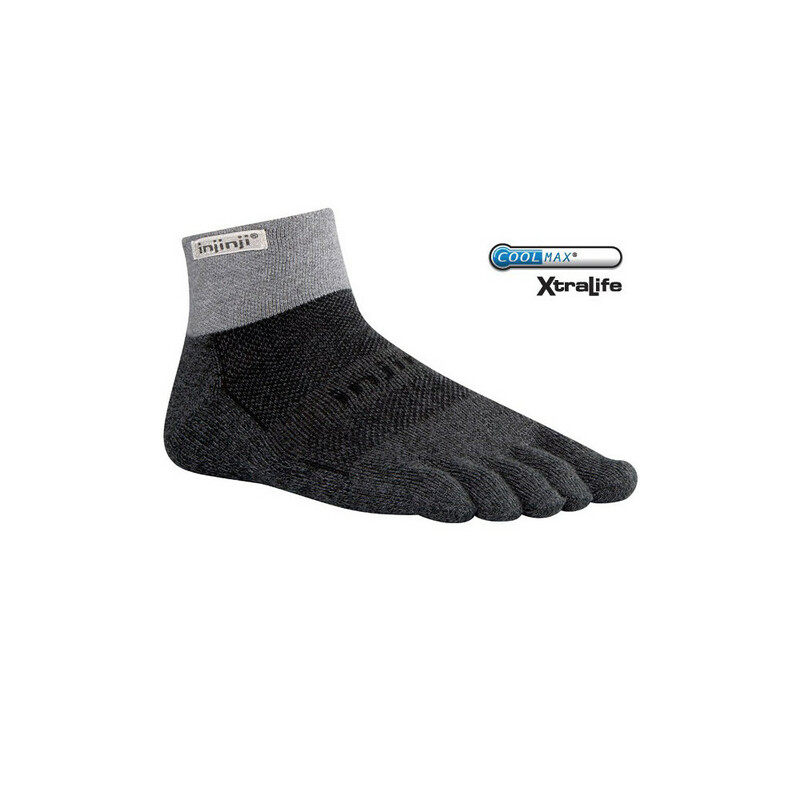 These fibers are durable, light, and flexible to offer superior breathability, which means cool, dry, and comfortable feet as well as a natural fit and protection from toe blisters. Injinji toesocks offer restriction-free movement and eliminate skin-on-skin friction between toes, which is one of the primary causes of blistering.